DCCC - Science, Technology, Engineering & Math Bldg. Structural design for a new 105,000 square foot, four-story LEED Silver rated laboratory and classroom building. Structural design for a new two-story, 105,000 square foot student center, including two gymnasiums, a fitness center, locker rooms, athletic department office, and lobby. New four and five-story approximately 65,000 sq. ft. Steel-framed academic building. The building includes new classrooms, academic offices and a 250 seat auditorium. Structural design for a new three-story, 40,000 square foot nursing school. Structural design for a new 4-story, 69,000 sq. 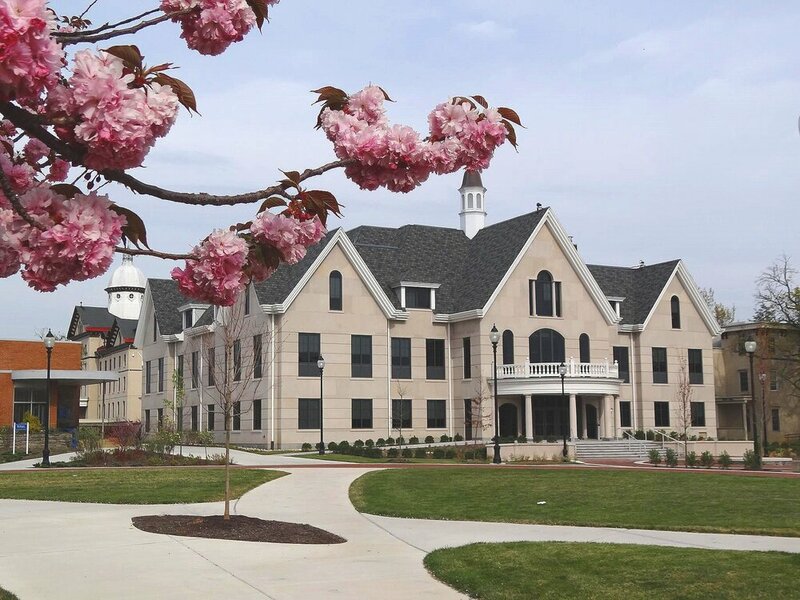 ft., $13Million college dormitory. Structural design of a new multi-story, approximately 70k sq. ft. Business Center. This building includes multiple tiered classrooms on the elevated levels, as well as a 250-seat auditorium space on the first floor. The building is designed with a two-story atrium space as well as green roof areas. The structural system consists of composite steel and concrete floor system supported by steel columns. The roof structure is steel wide flange beams supporting a mechanical load. The building also consists of a metal screen at the roof level. 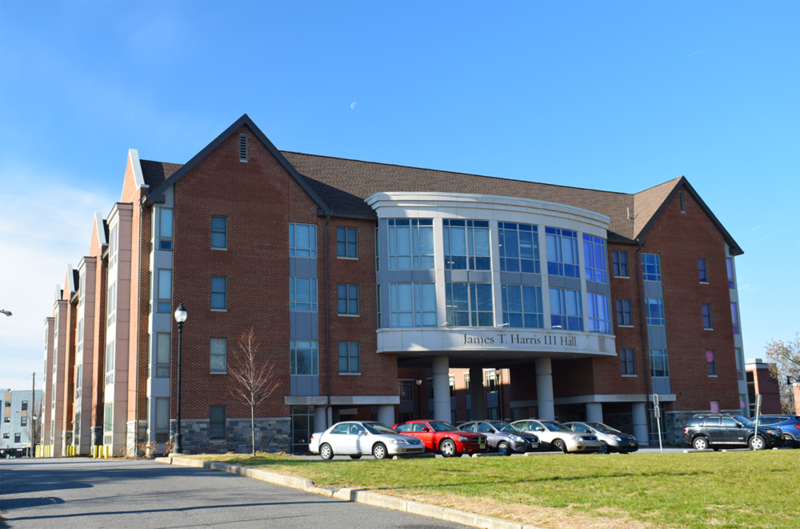 Widener University - Harris Hall MacIntosh Engineering provided structural design services for a new, 4-story, 70k SF, $17M Student Housing & Dining Center to the campus of Widener University. 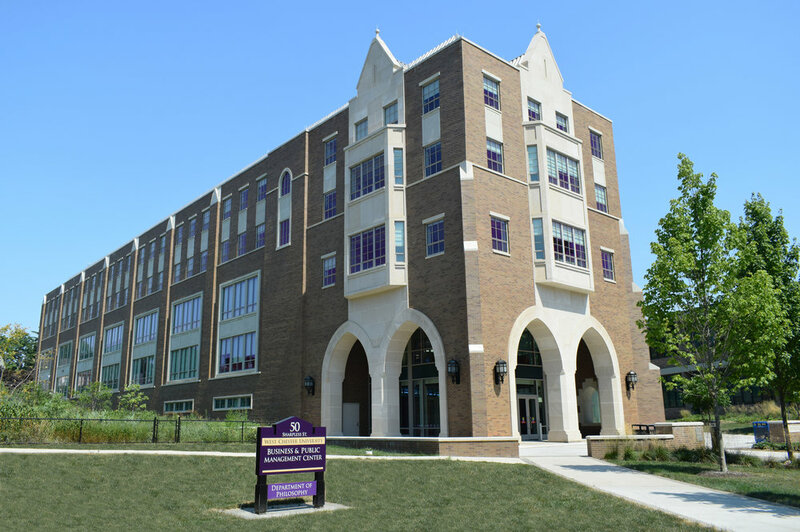 Built to accommodate 200 students, the apartment-style full kitchen units feature a large multi-purpose room, courtyard, and an on-site dining center featuring a roof deck on the second floor. © 2019, MacIntosh Engineering All rights reserved.